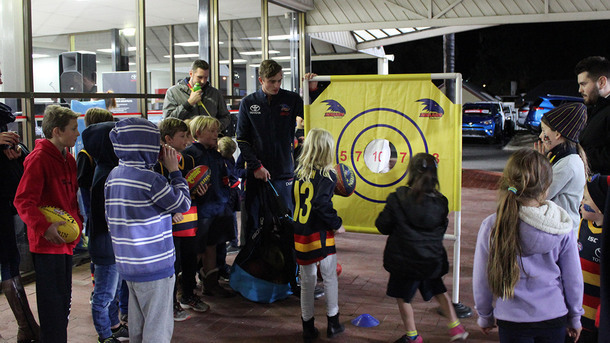 Special thank you to everyone who joined us for this year’s Crows Family BBQ’s at CMI Toyota West Terrace, Christies Beach and Cheltenham! 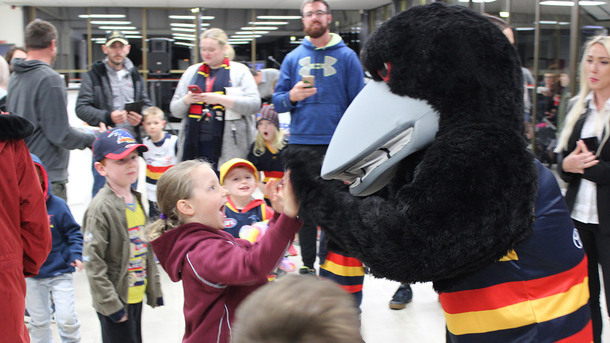 We welcomed our biggest crowds to date with fun activities for the whole family including handball competitions, the chance to meet Claude the Crow, face painting, delicious sausage sizzle, prizes and giveaways plus the chance to meet your favourite Crows stars. 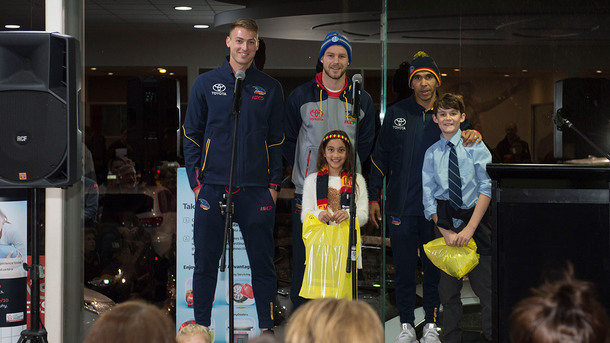 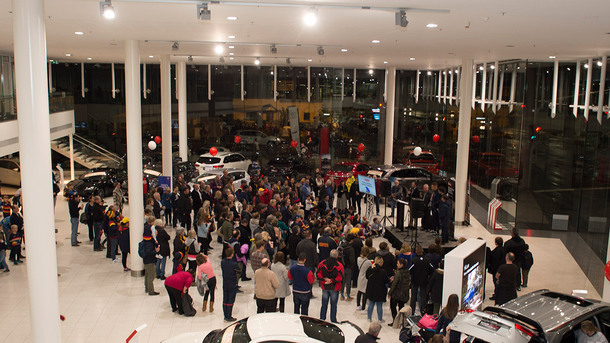 CMI Toyota Christies Beach were lucky to welcome Sam Jacobs, Mitch McGovern and Curtley Hampton and CMI Toyota Cheltenham welcomed Eddie Betts, Bryce Gibbs and also Daniel Talia to the showroom stage. 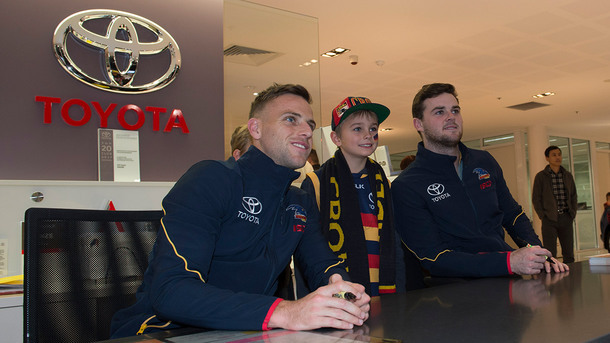 CMI Toyota West Terrace added to their line up thanks to Triple M, with KG and Greg Blewett from Dead Set Legends interviewing Brodie Smith, Brad Crouch and also Crows Team Defence Specialist Coach Tate Kaesler giving fans a rare insight into what happens behind the scenes and their hopes for the rest of the season.